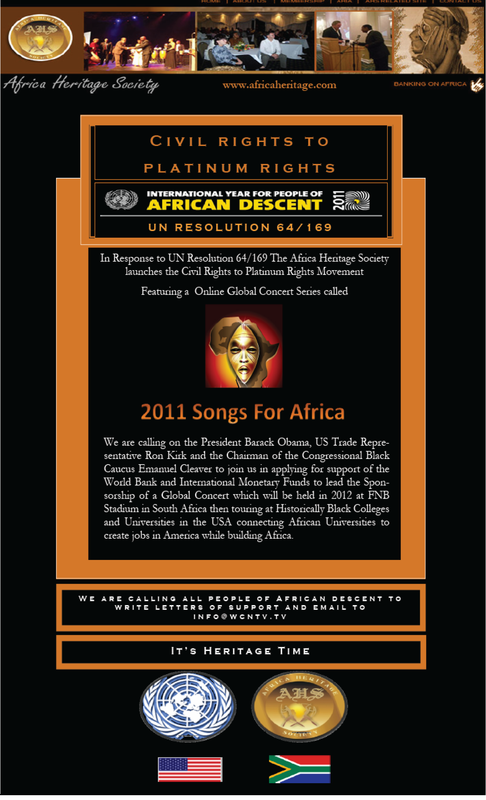 United Nations said, This year , 2011 is the year of The Africans. Gravitation has allowed all things of Earth to exist for this many have not realized Humans have not been in charge. As the seasonal changes take place without Human interference so does the spiritual. Humans all over Earth will be subjected to tests and will be answerable for the wrongs they have done and continue to do to each other. Some have done so much wrong, their existence shall be no more. Their laws and uncaring ways, abusing others has reached its peak and the motion of life on Earth may not be merciful. Those who have suffered because of their wrongs, have slept the lifeless slumber and are now regenerating the new energies to maintain the perfection that will allow all those of peace and caring to be all that Earth now will be. Night, and wonders and miracles shall awaken many who death had claimed. Children shall be taught from mind control, new musical sounds shall fill the air and controlling the minds, and food shall be plenty, no more, no more, no more wars, no more gun laws, no more greed and selfishness, no more, no more human controlling humans. This is the newness. This is the reason United Nations had declared the year of the Africans. For this is the cause of their Black Noble Ones of African descent that has maintain through their suffering the virtues Earth needed to receive the change. Warmongers your time is no more. You have had the carcasses of descent beings. Ellen Johnson-Sirleaf won by a landslide, according to early results. But will she be able to unite a badly divided nation? President Johnson-Sirleaf has a difficult road ahead in Liberia. It looks like Liberia’s President Ellen Johnson-Sirleaf won a second term in a run-off election this week, but only time will tell if the divisions that became apparent during the election will continue to haunt the country. On Friday early results show Sirleaf won 90.8 percent of the votes returned, a landslide victory against her opponent, Congress for Democratic Change (CDC) leader and opposition candidate Winston Tubman. On October 11 Sirleaf won nearly 44 percent of the first round vote and Tubman took around 33 percent, but Sirleaf didn’t pass the 50 percent threshold needed for outright victory—leading to a run-off election this past Tuesday. Tubman had said he would only participate in a second round vote if it were delayed by two to four weeks and if counting procedures were amended. On Monday violent clashes erupted between Liberian police and protestors from the CDC, leaving at least two dead, according to the UN. Tubman, Liberia’s former justice minister, claimed that eight people died and that he and his running mate, soccer superstar George Weah, were targeted for assassination. Photos seen around the world showed at least one dead body and many wounded, images reminiscent of those seen during Liberia’s 14-year civil war. Protestors fled into CDC headquarters as tear gas and bullets were fired on the building and tanks surrounded the compound. The protests started after Tubman announced the party would boycott the run-off election, claiming voter fraud and ballot box stuffing in the first round of elections. Speaking to reporters Thursday at Monrovia’s Foreign Ministry, Sirleaf said that if she wanted to steal the election, she would have won outright in the first round instead of having to go to a run-off. “It’s so common for somebody to call fraud when you don’t win,” she said. The U.S. State Department, the African Union, and the United Nations have criticized Tubman’s decision to boycott the vote. The Carter Center, the United Nations, and the Economic Community of West African States said the election was mostly fair. On Tuesday Sirleaf said in a press release that she expresses “deep sorrow and regret over the violence which resulted in the death, Monday, at CDC headquarters.” She said an investigation is currently being conducted, promising that perpetrators will be brought to justice. Election observers say the streets and polling stations were quiet on Tuesday as voters stayed away either out of fear of renewed violence or apathy after Tubman pulled out of the race. Turnout in Tuesday’s poll was 37.4 percent, a dismally low number compared to the 71 percent who voted in the first round a month ago. The question now is whether low voter turnout will undermine Sirleaf’s presidency. The election last month was the first democratically run elections in Liberia since the end of the civil war. The UN peacekeeping mission in Liberia ran the election in 2005 that ushered in Sirleaf’s first term as president. Tuesday’s election was supposed to show the world how far Liberia had come since the war ended in 2003 and that it was ready for foreign investment in such natural resources as iron ore and oil. Instead it proved how deep the divisions in the country remain. Tubman told Reuters that he would not accept the result and may seek to have it annulled. On Thursday at Monrovia’s Foreign Ministry, the president emphasized that she is not worried that her mandate has been weakened by the lack of voters. To support women journalists who are changing the conversation, donate to the WMC here. To read other recent WMC Exclusives, click here. This entry was written by Ruthie Ackerman, posted on November 11, 2011 at 12:28 pm, filed under *Feature*, Exclusives, Exclusives Articles, International, Uncategorized, WMC and tagged Ellen Johnson Sirleaf, Liberia, Ruthie Ackerman, Women Peace Laureates, Women World Leaders. Bookmark the permalink. Follow any comments here with the RSS feed for this post. Trackbacks are closed, but you can post a comment. Africa Heritage Society Weekly Job Report with No Job Growth Africans Born in America ask Presidential Candidates What’s in Your Plan for Us? 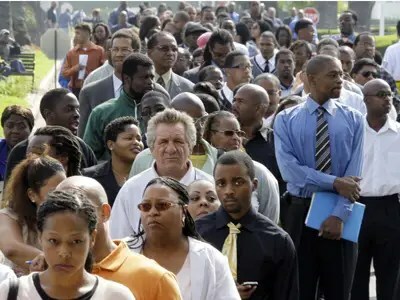 Here’s Why Black Unemployment Has Gone Through The Roof. What Say You! Candidates for President? I have a question for those candidates run for President? What is your plan to deal with the disproportionate Minority Unemployment? 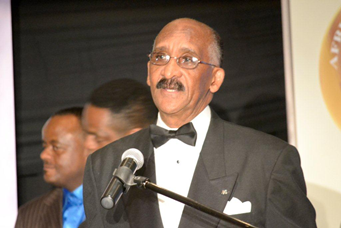 And in the absence of a will you support THE CIVIL RIGHTS TO PLATINUM RIGHTS MOVEMENT? Each Week we highlight jobs on Africa Job Station. This week’s Featured Employer is Total Group with more than 450 Open positions in Africa. SIGN THE PETITION TO SHOW YOUR SUPPORT TO CREATE JOBS IN AMERICA BY BUILDING AFRICA. Last month’s disturbingly high black unemployment rate is evidence that African Americans have been disproportionately affected by the shrinking public-sector. The public sector is the most important source of employment for African-Americans and a key source of high-paying jobs, especially for black women, according to a study by the U.C. Berkeley Department of Labor. African-Americans are 30% more likely to hold government jobs than other workers; from 2008-2010, 21.2% of black workers were employed in the public sector, compared to just 16.3% of non-black workers. The numbers explain why African-Americans have been hit so much harder by government budget cuts and layoffs than their non-white counterparts. The black unemployment rate was a staggering 16.7% in August — double the 8% unemployment rate for whites. The white unemployment rate has actually fallen, down from 8.7% last year, while the black unemployment rate has risen from 16%. At the same time, the public sector continues to eliminate jobs, including 17,000 in August alone. Overall, government employment has dropped by roughly 600,000 since 2008. The ongoing contraction of state and local governments suggests that the black unemployment trends aren’t likely to reverse any time soon. The prospect is perhaps most alarming for black youth, 46.5% of whom are now unemployed.